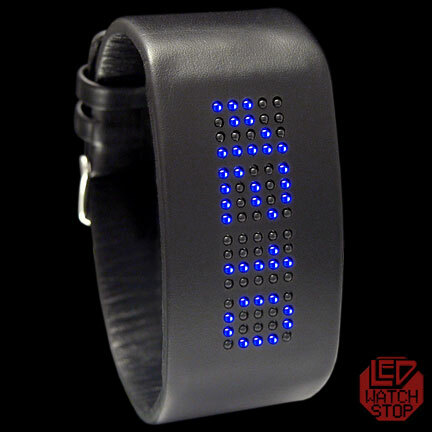 Introducing one of the most stylish, reduced, avantgarde LED watches to date. 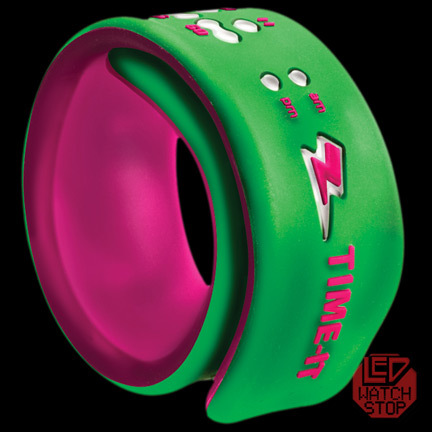 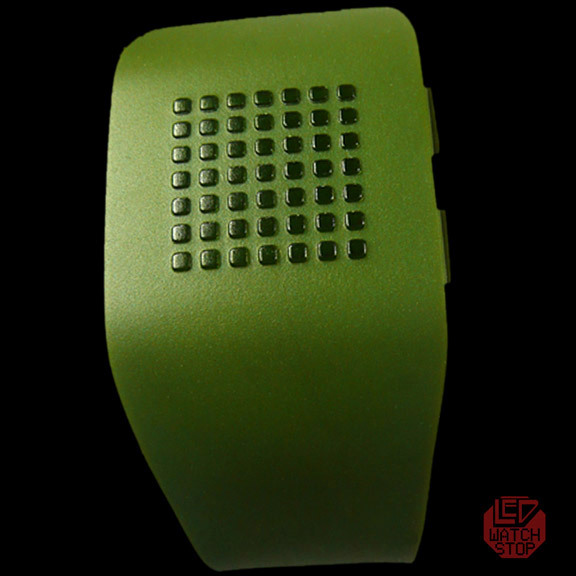 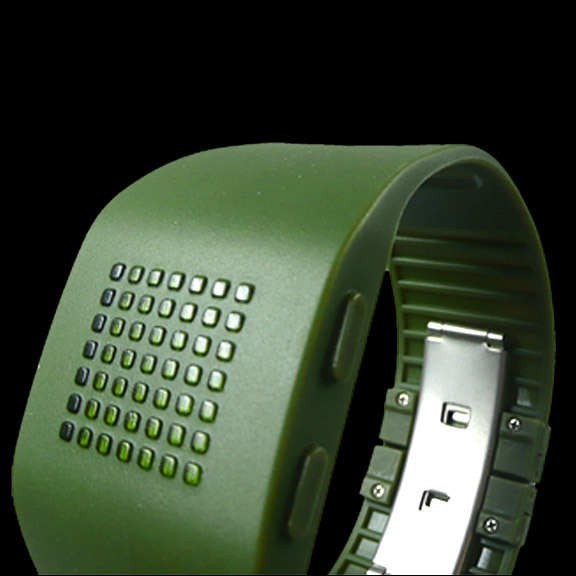 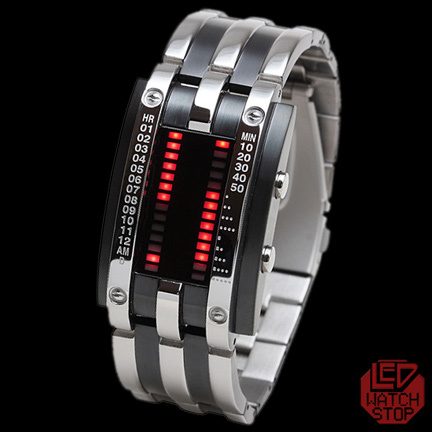 The watch looks like a super stylish wristband and once you push on the top one of the two exisitng buttons a number scrolls in to show the hour, followed by a second display of the minutes. 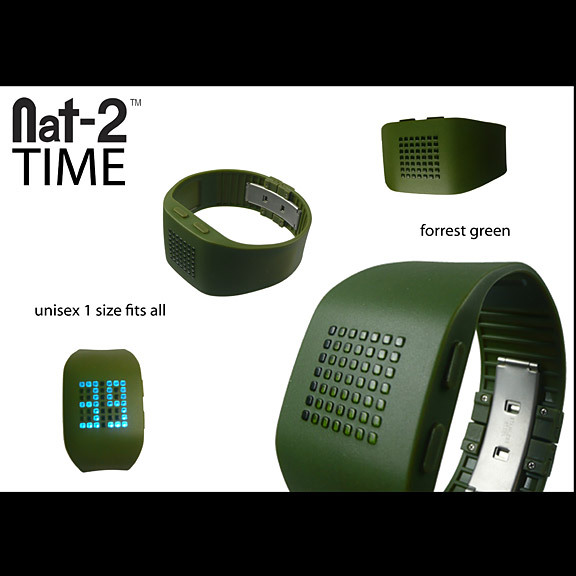 The Nat-2 Time is packed in a uniue high class acrylic case which can be used as display. 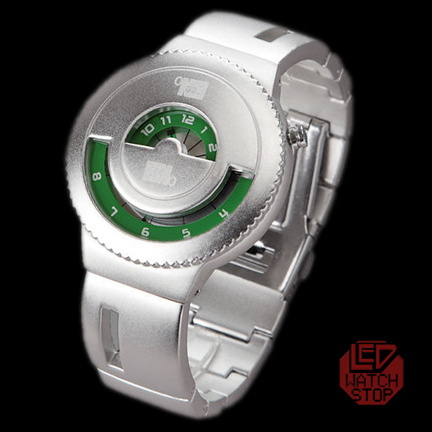 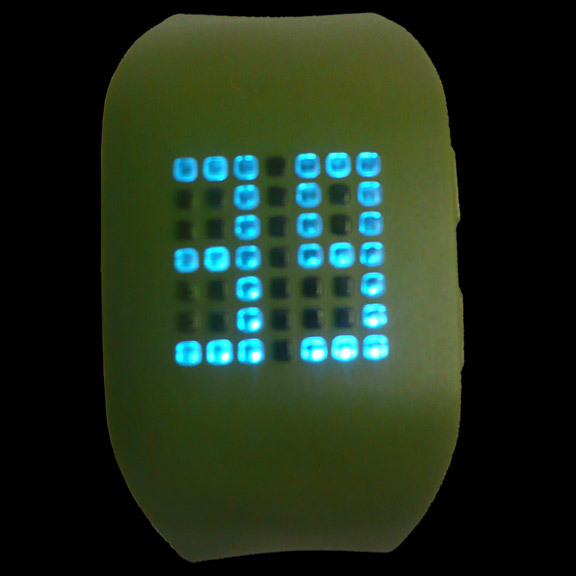 The watch can be set within seconds by pushing the top button and have the number scroll in. 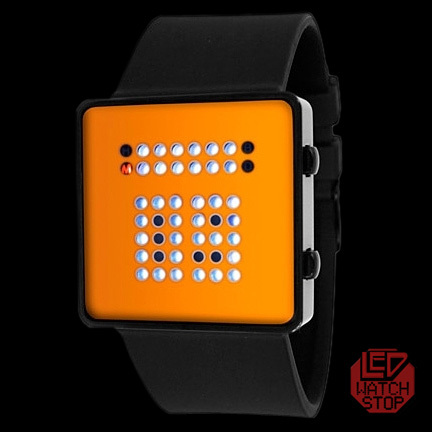 while it push and keep your finger on the lower button, the number starts blinking and you can set a new timeline.